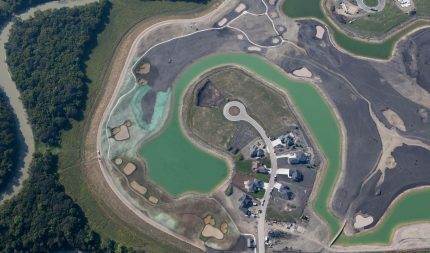 Rapid land development in the City of West Fargo prompted the West Fargo Park District to conduct a survey to assess the public’s interests for future parks. A 10-acre regional park to accommodate common requests from the survey and provide a cost effective, sustainable park with popular park amenities was a result of that survey. Moore Engineering developed Shadow Wood Park to accommodate both local and regional interests. The park is for all ages and promotes relaxing and exercising. Some amenities of the park include gazebos, picnic tables, a basketball court, playground equipment, a paved trail system, workout equipment, a manmade stream and the first outdoor splash pad in the metro area. Moore planned several meetings to involve the design team, park district, developer, and a committee of homeowners in the neighborhood. Working to apply everyone’s inputs within the design, this regional, handicap accessible park evolved by accepting and combining the interests of this team, the city, and the Shadow Wood neighborhood and offer a sustainable and long-term park. 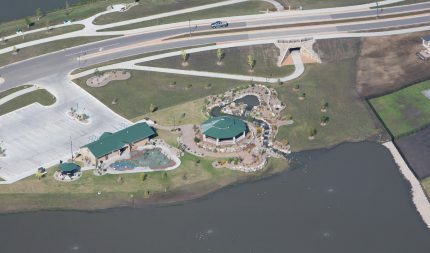 The West Fargo Park District opened the park in the spring of 2013. With the variety of amenities offered, the design of this innovative and accessible 10 acre regional park accommodates the community’s interests in the newly developed area. With many young or established families, as well as single people in the new developments, this inventive park is a safe, accessible, and natural looking area to help encourage everyone to use and enjoy the outdoors.